Hand tools are often neglected in the search for the pleasing objects of the past. Considered too utilitarian, their decorative appeal—the mellow patina of the wood plane or the delicately tapered legs of a pair of dividers—often goes unnoticed. Surprisingly modern in design, the ancient carpenter’s or cabinetmaker’s tool has a vitality of line that can, without reference to technical significance, make it an object of considerable grace and beauty. 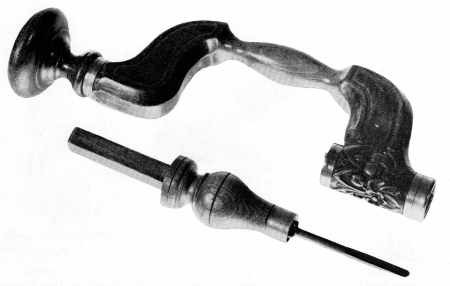 The hand tool is frequently a lively and decorative symbol of a society at a given time—a symbol, which, according to the judges at London’s Crystal Palace Exhibition in 1851, gives “indications of the peculiar condition and habits of the people whence they come, of their social and industrial wants and aims, as well as their natural or acquired advantages.” The hand tool, therefore, should be considered both as an object of appealing shape and a document illustrative of society and its progress. Figure 17.—1783: Detail of cabinetmaker’s dividers showing name and date. 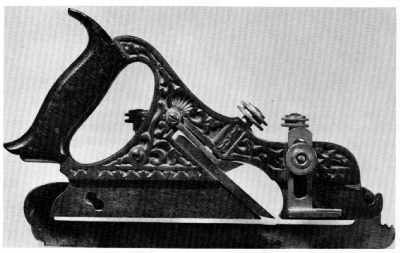 On first sight, it is the conformation rather than any facet of its technical or social significance that strikes the eye; perhaps the most decorative of tools are early dividers and calipers which, prior to their standardization, existed in seemingly endless variety. 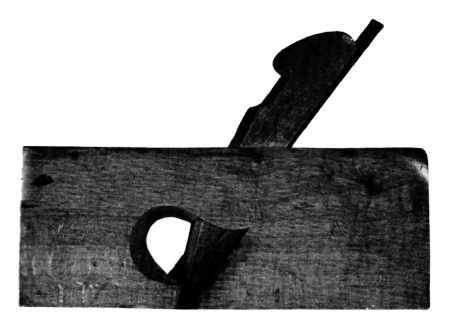 The great dividers used by the shipbuilder and architect for scribing and measuring timbers not only indicate building techniques (accession 61.548) but also document 17th-and early 18th-century decorative metalwork, as seen in figure 13. 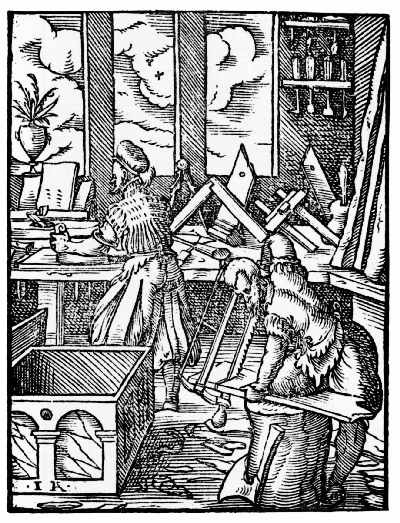 Well before the 17th century, artists and engravers recognized them as intriguing shapes to include in any potpourri of instruments, either in cartouches or the frontispieces of books (fig. 14). The two pairs of cabinetmaker’s dividers illustrated in figures 15 and 16 suggest significant changes in the design of a basic tool. The dividers shown in figure 15 are English and would seem to be of early 18th-century origin, perhaps even earlier. They are Renaissance in feeling with decorated legs and a heart-shaped stop on the end of the slide-arm. In character, they are like the great dividers shown in figure 13: functional, but at the same time preserving in their decoration the features common to a wide variety of ironwork and wares beyond the realm of tools alone. The dividers pictured in figure 16 are a decided contrast. Dated 1783, they are strongly suggestive of Sheffield origin. Gone is the superfluous decoration; in its place is the strong, crisp line of a tool that has reached nearly the ultimate of function and manufacture, a device which both in general appearance and precise design is very modern in execution. Equally intriguing are the smaller, more slender dividers (accession 319557) of the 18th-century house-builder as seen in figure 18, a form that changed very little, if at all, until after 1850—a fact confirmed by the frontispiece of Edward Shaw’s The Modern Architect, published in Boston in 1855 (fig. 19). The double calipers of the woodturner (fig. 20) have by far the most appealing and ingenious design of all such devices. 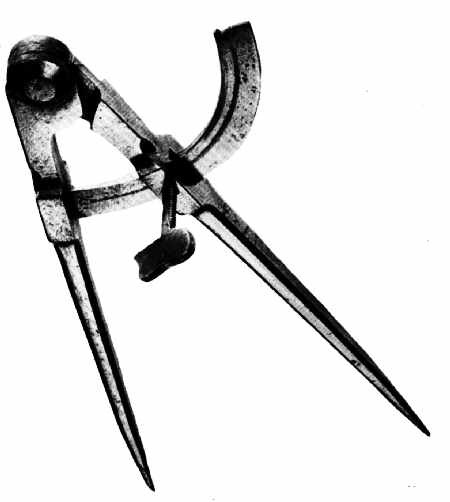 Designed for convenience, few tools illustrate better the aesthetic of the purely functional than this pair of 19th-century American calipers. Intended to establish proportion and to insure precision, it seems a natural consequence that dividers and calipers should in themselves reflect the same sense of balance and grace that they were designed to govern. Still, even the most prosaic examples of woodworking tools, completely divorced from the quasi-mathematical devices of measure and proportion, have this quality and can be admired solely as decorative objects. This is most evident in the three European bench planes illustrated in figures 21, 22, and 23: one Norwegian, dated 1704; one Dutch (accession 319562), dated 1756; and one German, dated 1809. The Norwegian and German examples, with their elaborately carved bodies and heart-shaped mouths, are typical of the type that Swedish and German colonists in America might have used in the 17th and 18th centuries. They are important for that reason. Also, all three exhibit elaboration found on other material survivals from these countries in their respective periods. 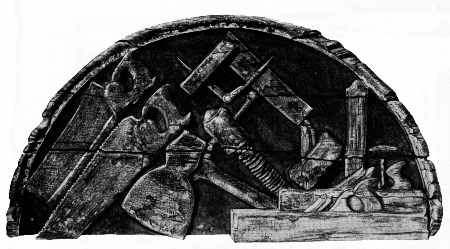 For example, the incised rosette of the Dutch plane (fig. 22) is especially suggestive of the rosettes found on English and American furniture of the 1750’s and 1760’s, specifically on high chests. 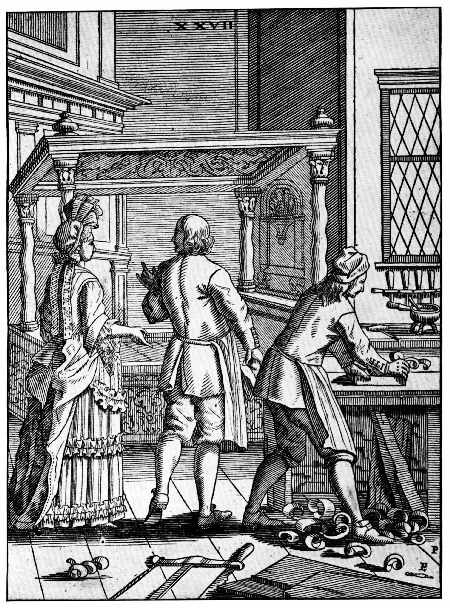 The decorative motifs that characterized European tools of the 17th and 18th centuries obscured technical improvement. 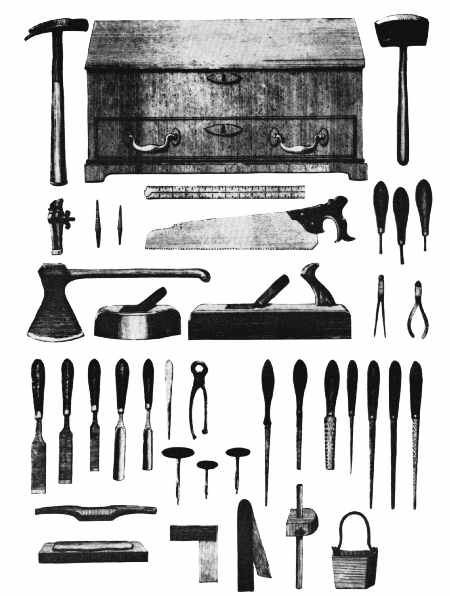 By contrast, in England and America, tools gained distinction through the directness of their design. Following English patterns, tools of American make were straightforward. Only later, in new tool types, did they imitate the rococo flourish of their European predecessors. In America, as in England, the baroque for things functional seemingly had little appeal. This is particularly true of woodworking planes on which, unlike their continental cousins, embellishment is rarely seen. 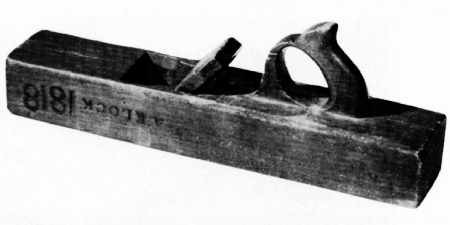 Exemplifying this tradition are three early 19th-century American planes: a plow, for cutting channels of various widths on board edges, marked “G. White, Philda” (fig. 24); a rabbet, for notching the margin of boards; made by E.W. 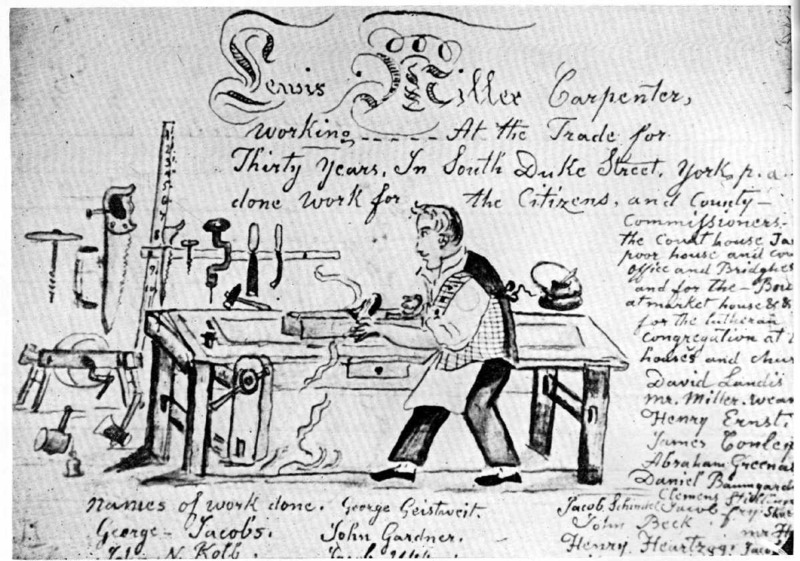 Carpenter of Lancaster, Pennsylvania (fig. 25); and a jack or foreplane, for rough surfacing (accession 61.547), made by A. Klock and dated 1818 as seen in figure 26. Figure 25. 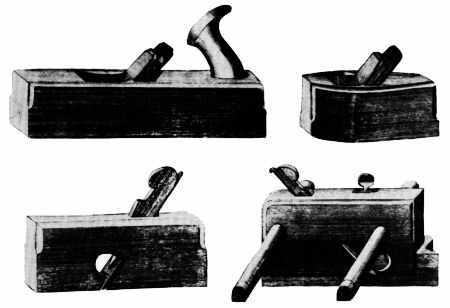 1830–1840: The design of the rabbet plane, used to cut a groove of fixed width and depth on the edge of a board, was not improved upon in the 19th century. The carpenter’s dependence on this tool lessened only after the perfection of multipurpose metallic planes that could be readily converted to cut a “rabbet.” (Private collection. Smithsonian photo 494789-H). The question of dating arises, since only the Klock piece is firmly fixed. How, for example, is the early 19th-century attribution arrived at for the planes inscribed White and Carpenter? First, the nature of the stamped name “G. White” is of proper character for the period. Second, G. White is listed in the Philadelphia city directories as a “plane-maker” between the years 1818 and 1820, working at the back of 5 Filbert Street and later at 34 Juliana Street. Third, internal evidence on the plane itself gives a clue. In this case, the hardware—rivets and furrels—is similar if not identical to that found on firearms of the period, weapons whose dates of manufacture are known. The decorative molding on the fence of this plane is proper for the period; this is not a reliable guide, however, since similar moldings are retained throughout the century. Finally, the plane is equipped with a fence controlled by slide-arms, fixed with wedges and not by adjustable screw arms. 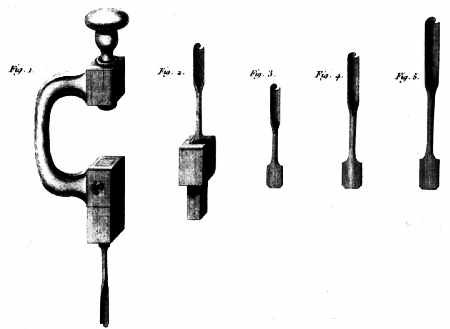 After 1830, tools of high quality, such as White’s, invariably have the screw arms. The rabbet plane, made by Carpenter, is traceable via another route, the U.S. Patent Office records. 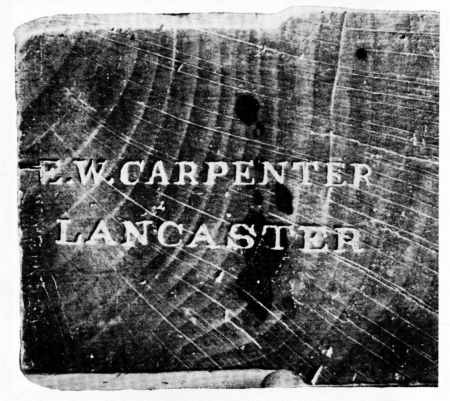 Carpenter, self-designated “toolmaker of Lancaster,” submitted patents for the improvement of wood planes between 1831 and 1849. Examples of Carpenter’s work, always stamped as shown in figure 27, survive, both dated and undated. There are several of his planes in the collections of the Bucks County Historical Society, and dated pieces are known in private collections. Inherent in the bench planes is a feeling of motion, particularly in the plow and the rabbet where basic design alone conveys the idea that they were meant to move over fixed surfaces. Of the three examples, only the brass tippings and setscrew of the plow plane suggest any enrichment, and of course these were not intended for decoration; in later years, however, boxwood, fruitwood, and even ivory tips were added to the more expensive factory models. Also unintentional, but pleasing, is the distinctive throat of the rabbet plane—a design that developed to permit easy discharge of shavings, and one that mass manufacture did not destroy. The divergence from European to an Anglo-American hand-tool design and the approximate date that it occurred can be suggested by a comparison of contemporary illustrations. The change in the wooden bench plane can be followed from the early 17th century through its standardization at the end of the 18th century. Examine first the planes as drawn in the 1630’s by the Dutchman Jan Van Vliet (fig. 28), an etcher of Rembrandt’s school at Leiden, and also the examples illustrated by Porzelius (fig. 29) and by Jost Amman (fig. 30). Compare them to Moxon’s plate (fig. 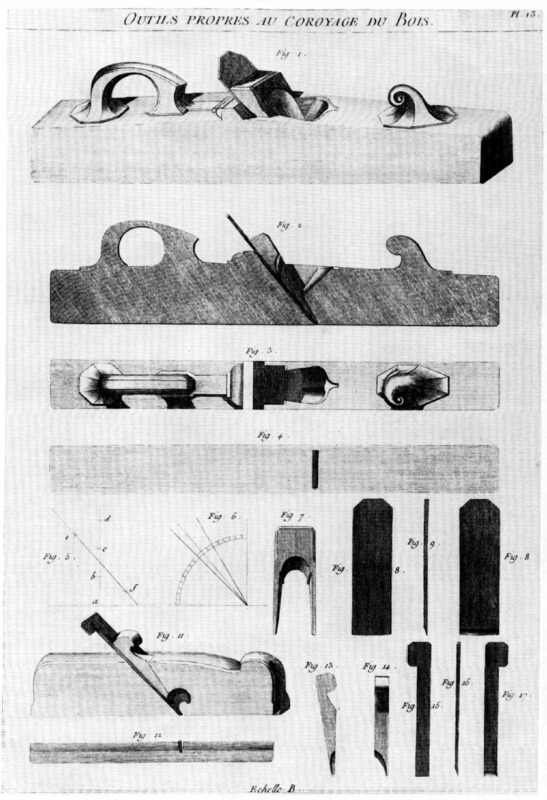 31) from the Mechanick Exercises (3rd ed., 1703) and to the splendid drawing of the bench plane from André-Jacob Roubo’s L’Art du menuisier, published in 1769 (fig. 32). 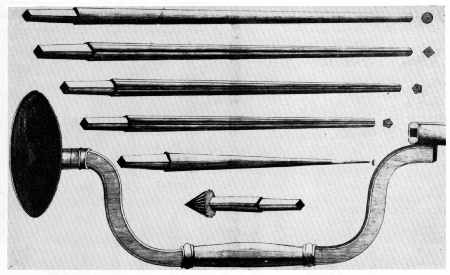 In all of them, the rounded handle, or tote, and the fore-horn appear, characteristics of both European and English planes of the period before 1750. The similarity ends with the mass production of hand tools from the shops of the English toolmaking centers, principally Sheffield. An illustration from a pattern and design book of the Castle Hill Works, Sheffield, dating from the last quarter of the 18th century (fig. 33), shows the achieved, familiar form of the bench planes, as well as other tools. The use of this form in America is readily documented in Lewis Miller’s self-portrait while working at his trade in York, Pennsylvania, in 1810 (fig. 34) and by the shop sign carved by Isaac Fowle in 1820 for John Bradford (fig. 35). In each example, the bench plane clearly follows the English prototype. 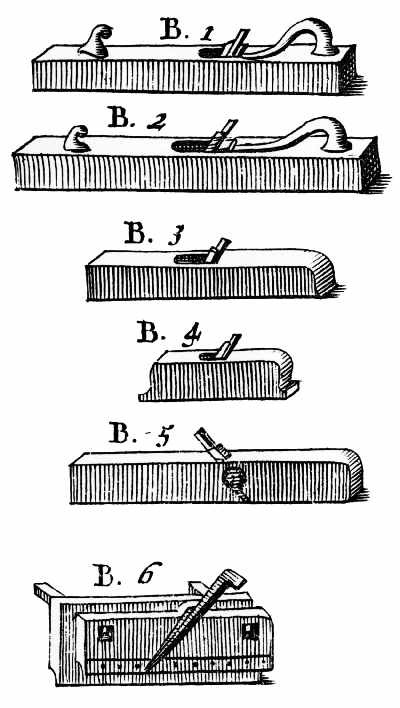 Figure 31.—1703: Detail of the bench planes from Moxon’s Mechanick Exercises. 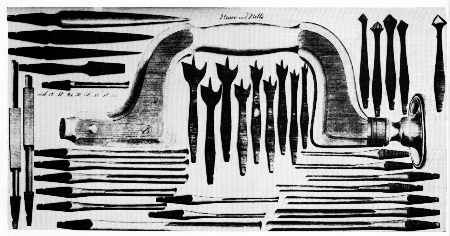 English tool design in the 18th century also influenced the continental toolmakers. This can be seen in figure 39 in a transitional-type bitstock (accession 319556) from the Low Countries. 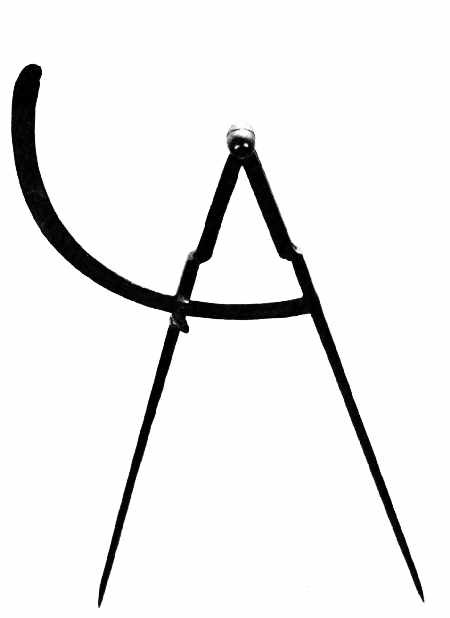 Adopting an English shape, but still preserving the ancient lever device for holding the bit in place, the piece with its grapevine embellishment is a marked contrast to the severely functional brass chucks on braces of English manufacture. No less a contrast are metallic versions of the brace. These begin to appear with some regularity in the U.S. patent specifications of the 1840’s; their design is apparently derived from 18th-century precedents. Roubo (fig. 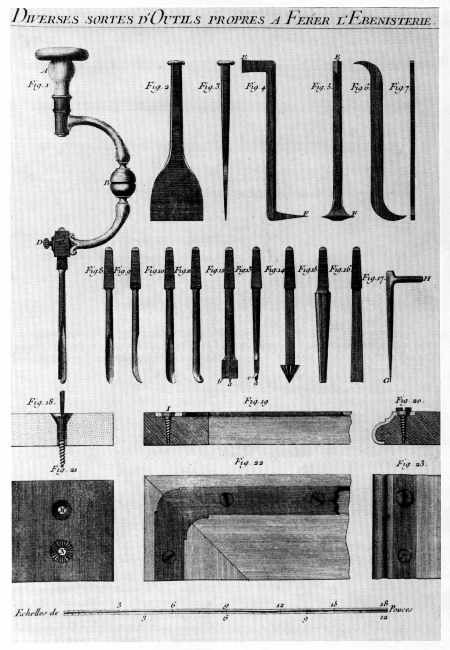 40) illustrated a metal bitstock in 1769, as did Ford, Whitmore & Brunton, makers of jewelers’ and watchmakers’ tools, of Birmingham, England, in their trade catalogue of 1775 (fig. 41). Each suggests a prototype of the patented forms of the 1840’s. 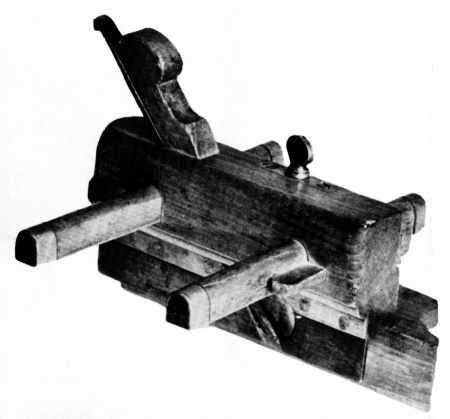 For example, in 1852, Jacob Switzer of Basil, Ohio, suggested, as had Roubo a hundred years earlier, that the bitstock be used as a screwdriver (fig. 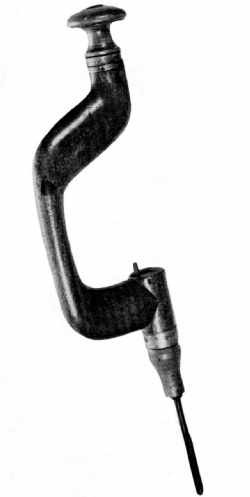 42); but far more interesting than Switzer’s idea was his delineation of the brace itself, which he described as “an ordinary brace and bit stock” (U.S. pat. 9,457). The inference is that such a tool form was already a familiar one among the woodworking trades in the United States. 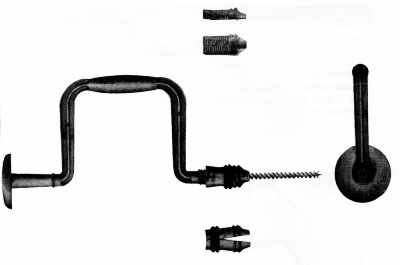 Disregarding the screwdriver attachment, which is not without merit, Switzer’s stock represents an accurate rendering of what was then a well-known form if not as yet a rival of the older wooden brace. Likewise, J. Parker Gordon’s patent 52,042 of 1866 exemplifies the strengthening of a basic tool by the use of iron (fig. 43) and, as a result, the achievement of an even greater functionalism in design. The complete break with the medieval, however, is seen in a drawing submitted to the Commissioner of Patents in 1865 (pat. 51,660) by Milton V. Nobles of Rochester, New York. 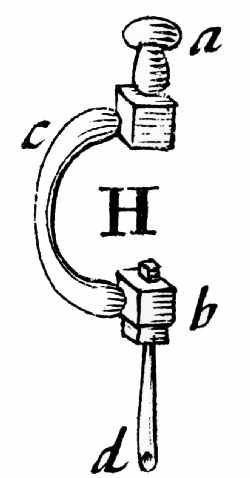 Nobles’ creation was of thoroughly modern design and appearance in which, unlike earlier types, the bit was held in place by a solid socket, split sleeve, and a tightening ring (fig. 44). In three centuries, three distinct design changes occurred in the carpenter’s brace. First, about 1750, the so-called English or Sheffield bitstock appeared. This was followed in the very early 19th century by the reinforced English type whose sides were splinted by brass strips. Not only had the medieval form largely disappeared by the end of the 18th century, but so had the ancient lever-wedge method of fastening the bit in the stock, a device replaced by the pressure-spring button on the side of the chuck. Finally, in this evolution, came the metallic stock, not widely used in America until after the Civil War, that embodied in its design the influence of mass manufacture and in its several early versions all of the features of the modern brace and bit. Henry Ward Beecher, impressed by the growing sophistication of the toolmakers, described the hand tool in a most realistic and objective manner as an “extension of a man’s hand.” The antiquarian, attuned to more subjective and romantic appraisals, will find this hardly sufficient. 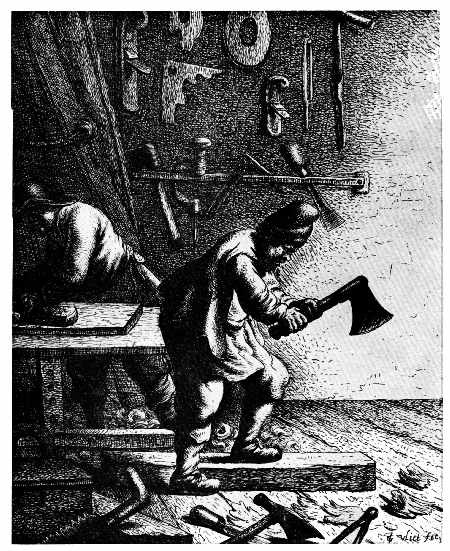 Look at the upholsterer’s hammer (accession 61.35) seen in figure 45: there is no question that it is a response to a demanding task that required an efficient and not too forceful extension of the workman’s hand. But there is another response to this implement: namely, the admiration for an unknown toolmaker who combined in an elementary striking tool a hammerhead of well-weighted proportion to be wielded gently through the medium of an extremely delicate handle. In short, here is an object about whose provenance one need know very little in order to enjoy it aesthetically. 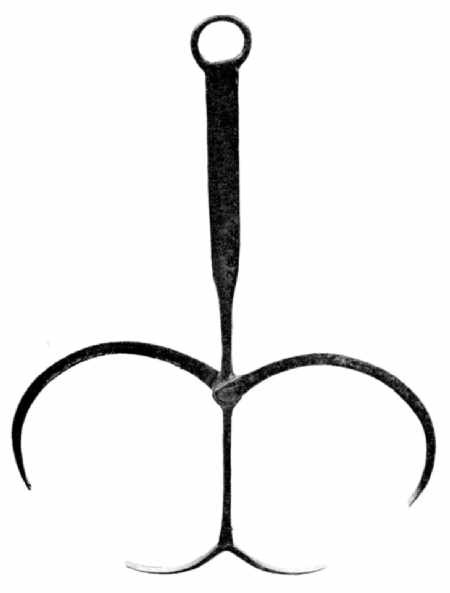 In a like manner, the 18th-century bitstock of Flemish origin (fig. 46), the English cabinetmaker’s bevel of the same century (fig. 47), and the compass saw (accession 61.52, fig. 48) capture in their basic design something beyond the functional extension of the craftsman’s hand. The slow curve of the bitstock, never identical from one early example to another, is lost in later factory-made versions; so too, with the coming of cheap steel, does the combination of wood (walnut) and brass used in the cabinetmaker’s bevel slowly disappear; and, finally, in the custom-fitted pistol-like grip of the saw, there is an identity, in feeling at least, between craftsman and tool never quite achieved in later mass-produced versions. Occasionally, ruling taste is reflected in the design of the carpenter’s equipment. Notable is the “gentleman’s tool chest” (fig. 49) advertised in the pattern book of the Castle Hill Works. The bracket feet, brass pulls, and inlaid keyholes imitate the style of the domestic chest of drawers of the period 1790 to 1810—undoubtedly, features included by the manufacturer to appeal to a gentleman of refined taste. In contrast to this Sheffield product is the plate from Shaw’s The Modern Architect. 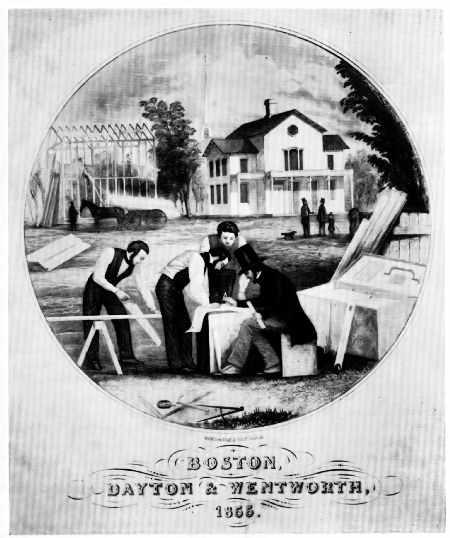 The concept of the builder-carpenter as a gentleman still prevails, although the idea in this American scene is conveyed in the mid-19th century through fashionable dress. The tools and in particular the tool chest reflect only the severest of functional lines (fig. 19, p. 196). In deference to ruling taste, some tools lost for a time the clean lines that had long distinguished them. 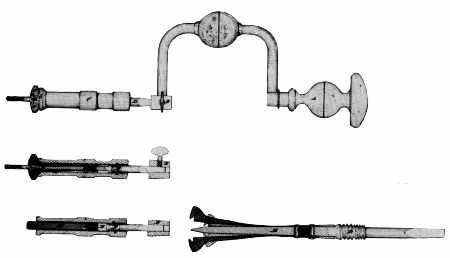 The screwdriver, simple in shape (accession 61.46) but in little demand until the 1840’s, occasionally became most elaborate in its factory-made form (fig. 50) and departed noticeably from the unadorned style of traditional English and American tools. 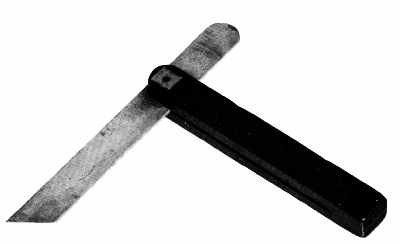 The scalloped blade, influenced by the rival styles rather than a technical need, seemed little related to the purpose of the tool. 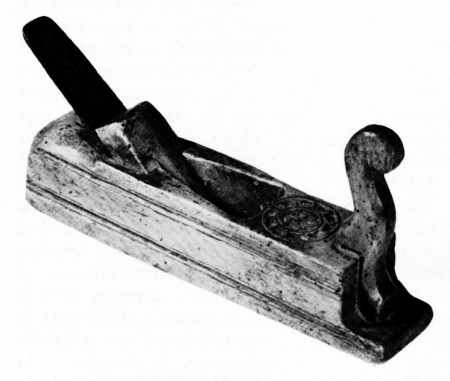 No less archaic in decoration was the iron-bodied version of the plow plane (fig. 51). The Anglo-American tradition seems completely put aside. In its place is a most functional object, but one elaborately covered with a shell and vine motif! Patented in 1870 by Charles Miller and manufactured by the Stanley Rule and Level Company, this tool in its unadorned version is of a type that was much admired by the British experts at Philadelphia’s Centennial Exhibition in 1876. What prompted such superfluous decoration on the plow plane? Perhaps it was to appeal to the flood of newly arrived American craftsmen who might find in the rococo something reminiscent of the older tools they had known in Europe. Perhaps it was simply the transference to the tool itself of the decorative work then demanded of the wood craftsmen. Or was it mainly a compulsion to dress, with little effort, a lackluster material that seemed stark and cold to Victorians accustomed to the ornateness being achieved elsewhere with the jigsaw and wood? Whatever the cause, the result did not persist long as a guide to hand-tool design. Instead, the strong, plain lines that had evolved over two centuries won universal endorsement at the Centennial Exhibition. The prize tools reflected little of the ornateness apparent in the wares of most of the other exhibitors. American makers of edge tools exhibiting at the Centennial showed the world not only examples of quality but of attractiveness as well.